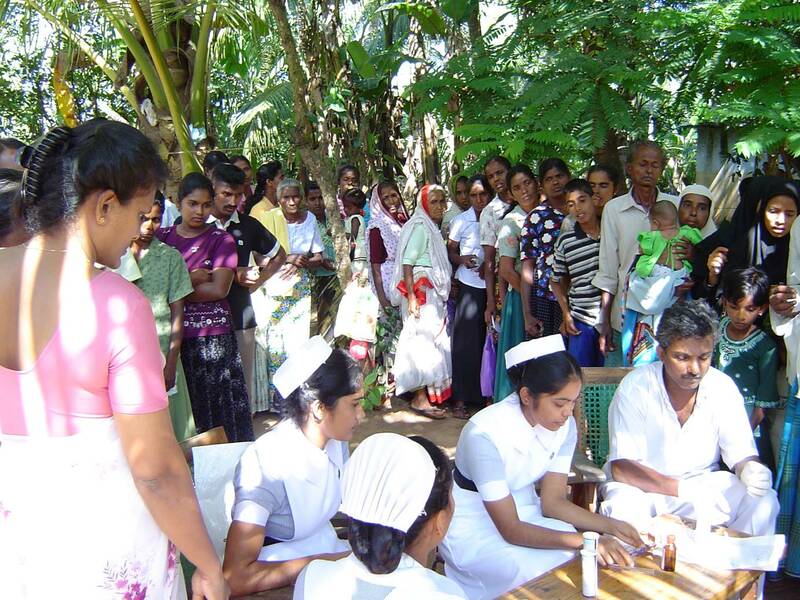 Several decades of evidence have shown unusually high occurrences of chronic kidney disease in Sri Lanka. In affected regions of the island, kidney damages are suspected to have toxicological causes. This started initiatives to closer investigate related environmental influences. In particular, polluted groundwater may play a central role in spreading the disease due to direct contact of consumed drinking water with kidneys. This relationship initiated collaborative studies to investigate trace elements (e.g. 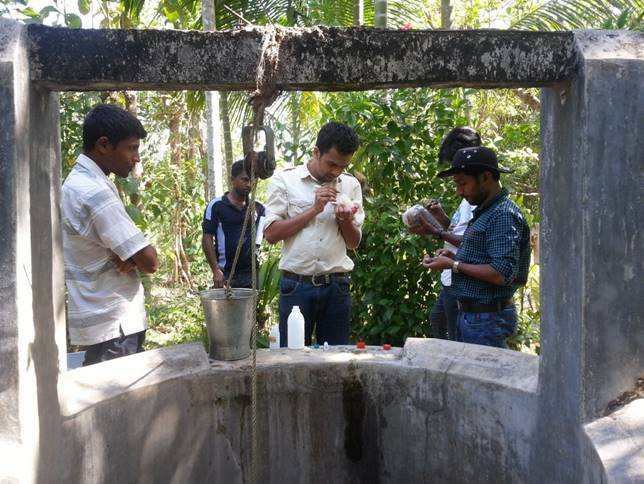 arsenic or cadmium) in drinking water with teams from Peradeniya University in Sri Lanka together with the Chair of Applied Geology in Erlangen. In addition, experts from the Eberhard Karls University of Tübingen will develop and apply screening approaches for organic contaminants such as pesticides or other toxins in water samples. Further teams from the Department of Nephropathology at the Universitätsklinikum Erlangen and the Nephrology Unit at the Kandy Teaching Hospital in Sri Lanka will investigate altered kidney morphology and functioning in response to the disease. The collaborative project is funded by the Federal Ministry of Education and Research in Germany (BMBF) and brings together an interdisciplinary team of experts from Nephrology, Nephropathology and Hydrogeochemistry. It unites interests from the International Society of Nephrology (ISN) and the International Association of Hydrogeologists (IAH). Expected results will show spatial distribution patterns of the disease and groundwater quality in Sri Lanka and will allow to establish cause-effect-relationships. This will help to propose measures to reduce the spread of the disease. Results will also serve to develop health management plans and to transfer the knowledge to other affected regions worldwide.